The unique educational channel English Club TV has partnered with Vonetize, a worldwide VOD and OTT platform that provides premium content services and develops technology platforms for Smart TVs and connected devices. Being the first SmartVOD service in Israel, Vonetize has recently matured into a full OTT TV solution. Starting from 1 May 2017, the English Club TV full-time linear channel has been available for Vonetize subscribers in Israel. “We are happy to announce our partnership with Vonetize which enables us to support and motivate Israelis while studying the English language. English Club TV gives viewers the opportunity to improve their grammar, pronunciation and enrich their vocabulary in an interactive way. The channel immerses viewers into the English language environment by providing both educational and entertaining programmes with native English-speaking hosts as well as the world’s best movies with subtitles in English. The creative team of the English Club TV channel pays special attention to the development of the kids’ content which currently consists of 300 episodes of edutainment programmes. Also, we offer a special block of programmes for managers and employees to enhance their careers and support business growth. Thus, every viewer will definitely find what they are looking for regardless of their objectives and English level. The English Club TV channel is a wonderful opportunity to spend time with pleasure while reaping tangible benefits”. “Vonetize has owned and operated the first OTT VOD service in Israel, branded SmartVOD since 2012. After 5 years on the market and over 2 million users on SmartVOD, the service is maturing into a full OTT TV solution and re-branded as “smart”. Vonetize will distribute the service via all connected devices including web portal, mobile apps, Smart TV apps and support for casting and a dedicated set-top box. Vonetize collaborates with distributors such as TripleC Internet Service Provider to bundle the TV service with an Internet plan, and also with retail giants such as Globus Max, Israel’s largest Cinema theatre chain, and TV manufacturers Samsung and LG for joint distribution of the service”. The negotiation was handled by Niv Omezguine, Tibby Communications, who is in charge of the distribution of English Club TV in Israel along with many other international TV channels. English Club TV is an educational channel for those who study English. It is broadcast in 99 countries in Europe, Asia, Africa, America and the Middle East. For more information please visit our website http://english-club.tv/news/. 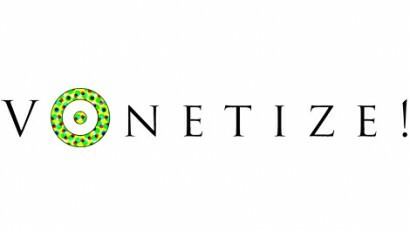 Vonetize develops premium content services and technology platforms for Smart TVs and connected devices, reaching millions of viewers worldwide with a variety of content offerings – including Hollywood films and TV series, music and live concerts, children’s programming, and niche ethnic content. Having built partnerships with top-tier content providers like Disney, Mirimax and MGM, as well as major consumer electronics manufacturers such as Samsung, Toshiba, and Hisense, Vonetize provides a superior VOD service to millions of people in established and emerging markets worldwide.